The Google Now Launcher has finally hit the Google Play Store, and with it brings the pure Google experience to any device. Well, almost any device, since it’s only available for Nexus and Google Play Edition devices running KitKat. The Google Now Launcher takes over your entire homescreen and will allow you to add unlimited amount of home screens, add widgets, and also display the Google Now information. What does come included in the Google Now Launcher, and probably the stand out feature, is the always listening “Okay Google” command which will launch the voice recognition. 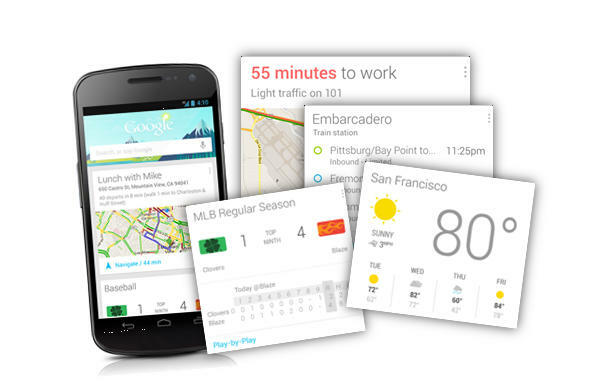 Google Now on your home screen – it’s easier than ever to get just the right information at just the right time. Just say “Ok Google” – when you’re on your home screen, just say “Ok Google” to trigger voice input. Then say your search query. Or tell your phone what to do, like send a text message, get directions, or play a song (available in the US, UK, and Canada). Faster search – tap the search box and you can enter your query immediately. Easy access to your favorite Google products and services, like Gmail, YouTube, and Maps. Larger viewing area – the status and navigation bars are now translucent, so your wallpaper pops from every pixel, and is even visible when you expand your apps drawer (when supported by device). Intuitive wallpaper picker – select any image that’s stored on your device, or in the cloud. Position and preview your wallpaper before you set it. Whilst the limitation of only being compatible with Google Play edition with KitKat or Nexus devices does limit how many people will benefit from this release, but I expect it to be opened up to further devices in the future. If you have a compatible device and have had the opportunity to test the Google Now Launcher then drop us a comment in the section below and let us know what you think.